“The Stars in Their Place“, an assemblage made up of a beautiful pen and ink painting, fine fabrics and papers, washi tape, a rare vintage French metal, and is set on (arguably) the prettiest wood in existence. 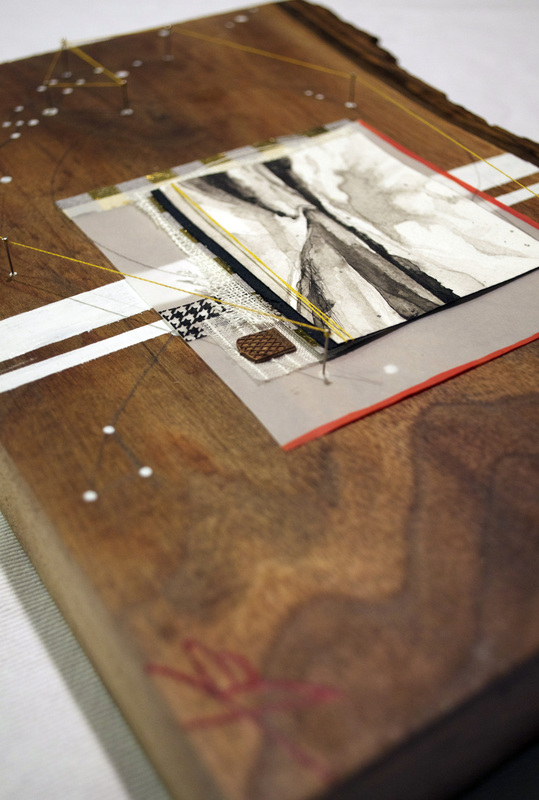 This mixed medium collage measures 13×9 inches. 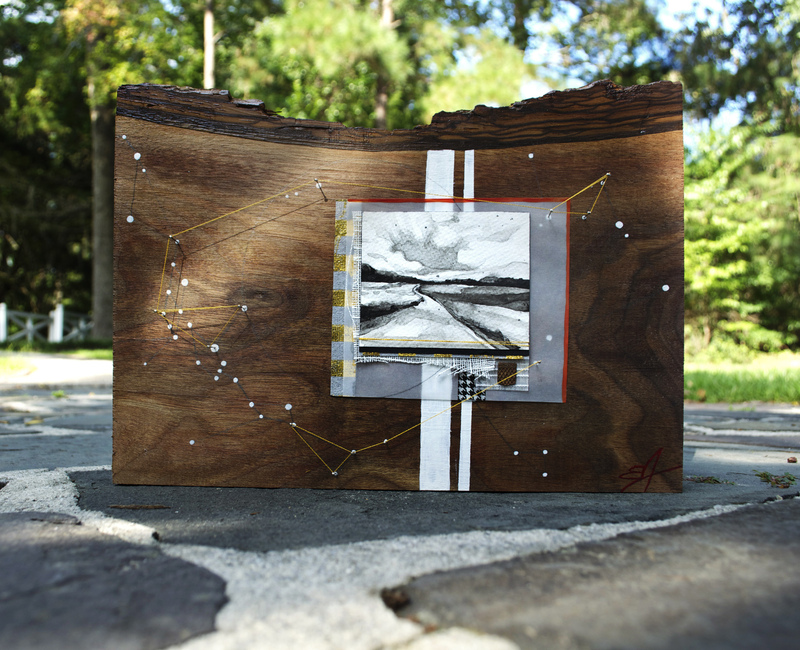 I love the constellation design, the astrological patterns that inspired this piece, and how they contrast with the road and landscape. It helps me to remember that, while my world seems so big and important to me, I am really very, very small. And, somehow and for some reason, God sees and cares for each of us! 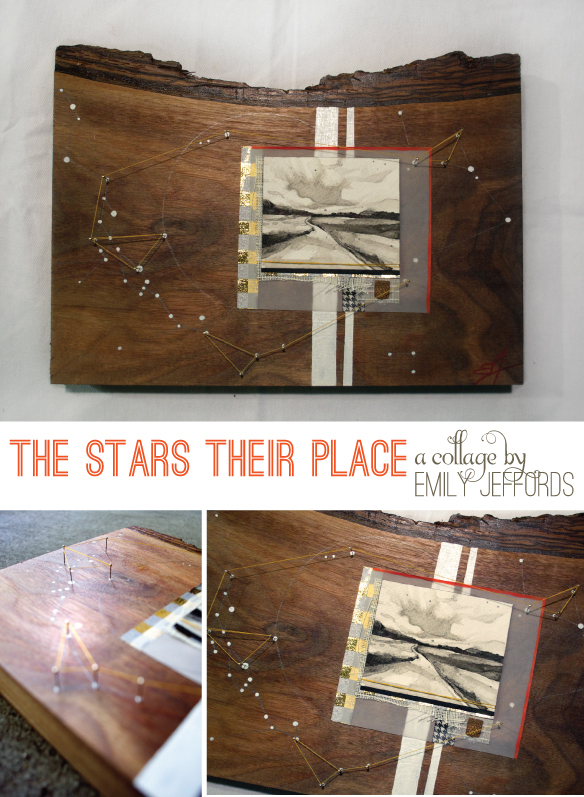 Read more about the meaning behind The Stars in Their Place and check out the progress photos here. thank you! I love creating collages out of beautiful bits of fabric and paper I find. Nice work Emily, your pen and ink work is very subtle and nicely executed.